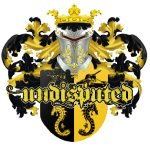 The Undisputed Wrestling Show returns for our weekly show with the latest wrestling news and special guests Gary Michael Cappetta and Randy 'The Pimp' Taylor! Join Cueball Carmichael, Dru Skillz, Zane Pasley and William Huckaby in the AngryMarks chat for our live broadcast. Like our Facebook pages at AngryMarks Network and Undisputed Wrestling respectively, and if you enjoy the program please leave us positive feedback on iTunes (kw: angrymarks). Thanks for checking out TUWS!